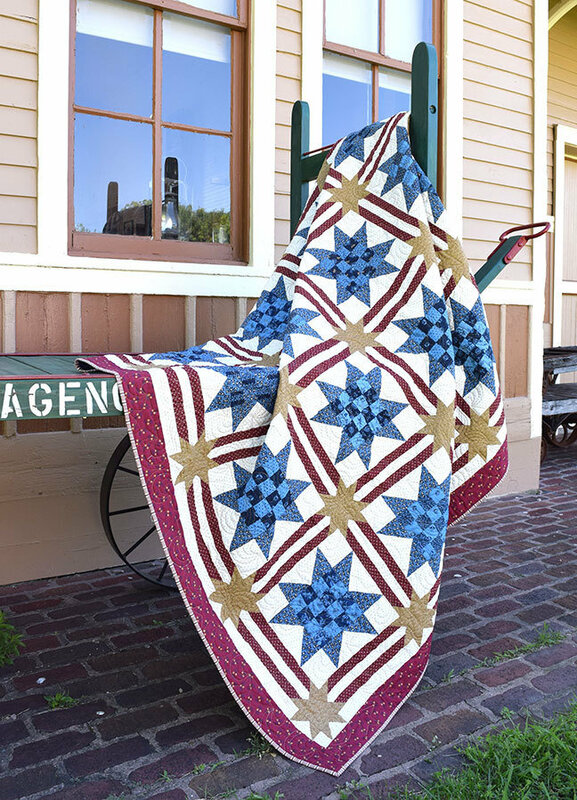 These scrappy stars can be made from your stash. Strip sets make piecing the sixteen patch centers quick and easy. Use the 4-at-a-Time Flying Geese Units method to make perfect star points. The pieced sashing creates just the perfect secondary pattern to emphasize the patriotic design. 72" x 84" finished size.